Magnificent Morilee prom dress 42026 is the perfect choice for you. 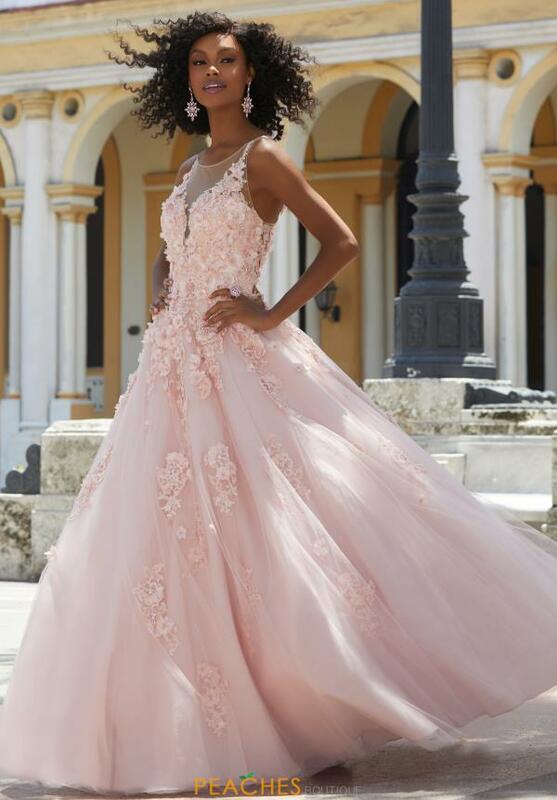 Features a 3 dimensional flower pattern throughout the ball gown for an unique look. This amazing style features a plunging v neckline with a sheer insert. Followed with a full tulle a line skirt and a captivating open back that will have you turning heads.